I got this idea from Under the Sycamore. Ashley wraps a little house with fabric and I liked the look so I thought I would try it out on a frame. 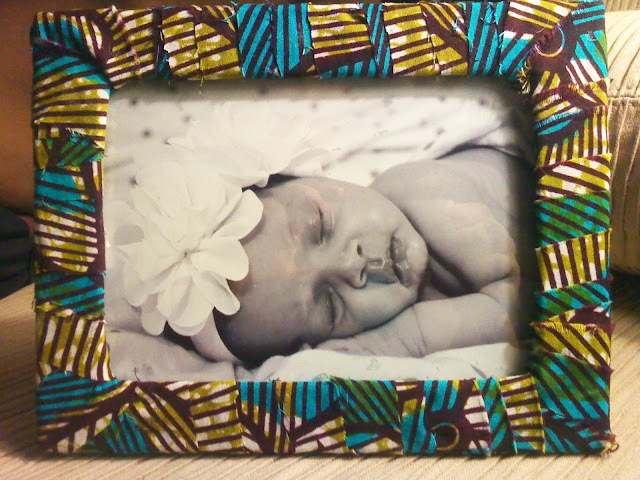 I used a cheapo frame and some of my African fabric that I used here, here, and here. This only took me about 30-45 tv watching minutes so it probably would take less time if I was just focusing on the project. I love this! It makes me want to go and re-do a crap ton of our frames at home!